All are welcome to participate in practice (male or female) although we do not have a women’s team at this time. No experience is necessary to come to practice and give it a try. Vulcans, before you play, read the info in the “Register” link. Are you new to rugby? Interested in playing? 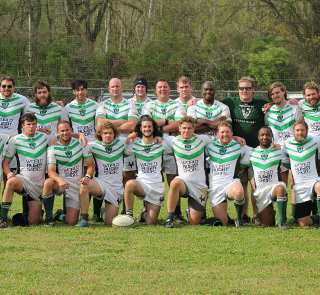 The Birmingham Rugby Club competes in Division II of the True South Rugby Union. No Replies to "The Senior Men's team and UAB team practices are every Tuesday and Thursday"